I'm kind of posting this so that I don't have to go back and look for it, and so that I remember I wanted to do it when I go back and look through old posts. I think it rocks. 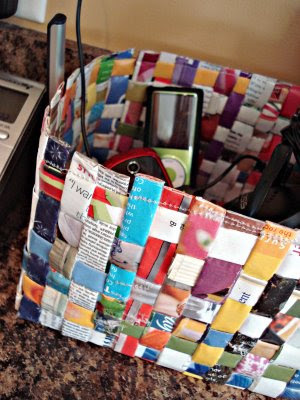 Recycled Magazine Basket. Credit: Calico.